First of all I would like to introduce myself. My name is Caroline von Taysen and I am speaking to you as an expert by profession. I work as a pychologist in different freelance jobs. That is, I do shifts in a crisis intervention house, I visit people with psychiatric experiences in their homes to help them live their daily lives, and I give therapeutic massages. 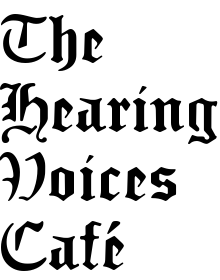 During this talk I would like to tell you about some of my experiences and insights that I have had since joining the “Netzwerk Stimmenhören” (“Voice Hearing Network”). I got to the “NeSt” six years ago, right after my university studies. The so called “Critical Psychologists” integrate Marxist ideas: they criticize the unquestioned position of power that psychologists and psychiatrists usually claim and try to find alternatives to hierarchically structured institutions. The “Constructivists” don’t believe in objective realities. They say that instead, we are all in the constant process of creating and recreating our own subjective worlds, according to our perception of things and to the contexts we live in. I was an enthousiastic follower of these ideas and was looking forward to now, finally, put them into practice. the poor victims of the opressive psychiatric system need to be rescued! I was going to position myself on the side of the psychiatric survivors and fight for their rights!! I knew that psychotic experience was a phenomenon and not a dysfunction and that pharmacotherapy was one of the tools used for repression. I was also fascinated by these extraordinary perceptions, such as voice hearing or other hallucinations. I had had similar experiences while taking drugs and had found them very exciting and mind opening. Anyway, this was the theory. During my university studies I hadn’t really met anybody with a psychiatric diagnosis, so it was easy for me to hold up my simple beliefs and present them self-confidently. As soon as my time as a student was over, though, this self confidence diminuished rapidly. Now I was unemployed and didn’t really have a clue about the mental health system in Berlin. I didn’t have concrete ideas of what kind of job I would like to have, in what kind of project I might want to work… I only knew that I demanded a great deal of political correctness of whoever I might be willing to work for. So what exactly was my role as a psychologist now? How could I put into practice what sounded so good and easy in theory? How exactly do I confront people with psychiatric experiences in a correct way? My theoretical solidarity didn’t help me now. In this first phase of searching for my professional identity (and these annoying identity crises keep popping up out of nowhere…. ), I found out about the “NeSt”. A self-help booklet informed about the trialogue groups that take place every two weeks, and I was intrigued. Meeting up regularily with people who hear voices, their relatives and friends, and professionals sounded great. What surprised me mostly was how diverse the people in the group were. So far, I was only used to the pretty homogeneous political groups at the university. Here, there were people from all kinds of professional and social backgrounds. They had different ages and presented all sorts of opinions. I was very impressed by the respect that the people showed each other. The primary rule of the group says that everybody is an expert of his/her own experiences and that everybody’s stories and opinions are to be accepted without judgement. This both inspired and confused me. There were also those who insisted in being called “ill” and totally didn’t agree with the idea, that their voices could be meaningful in any way. I remember how I once proclaimed an opinion of mine and Hannelore Klafki asked me to please talk about my own experiences and not about theoretical generalizations. I was sooo embarrassed…. 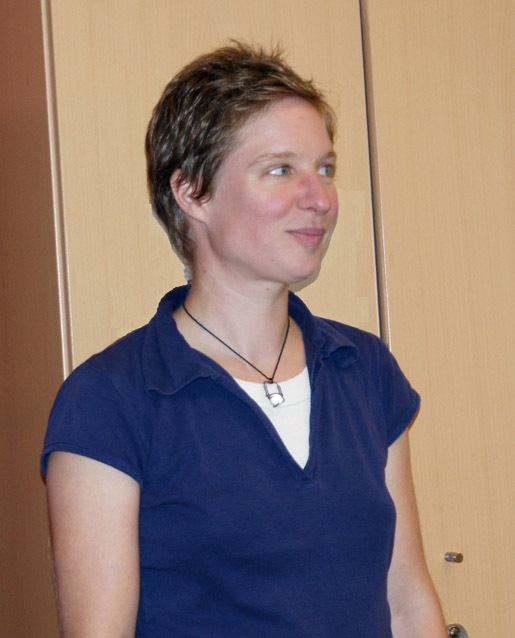 It felt like Hannelore had the role of a professional person, and certainly not me…. This very respectful way of treating each other in a group setting, this mutual taking care of everybody’s limits was something new for me. Unlike other groups, here nobody put any pressure on anyone, and nobody asked for general positionings. And most of all, it wasn’t all about finding the right theories, but about sharing our own individual experiences. What mattered was to actually get to know each other and to learn to better understand everybody’s different perspectives. What really touched me, that I was also treated that way, even though I was a clueless psychologist. I felt like I was taken into the group in a very accepting and sympathetic way. I felt like I was first of all looked at as a human being, as Caroline, and then also as a psychologist. I also felt like I got as much space and time as I needed to settle into the “NeSt” and find my place there. This has been, and still is, a very healing experience. one of the methods to better deal with problematic voices is to be the master or mistress of one’s own house, to take control and responsibility of one’s own actions, and not give in to what the voices dictate. the political, structural, societal level and the private, individual level. At the political level I think that it makes a lot of sense to criticize hierarchical structures, to assess what groups are structurally stigmatized and disadvantaged and to support self organization. At the (inter)personal level this doesn’t work, though, because it would end up in a new kind of paternalism or judgemental expectations. In a system that exists of priviledged and less priviledged people it is logical that the influence of the “powerful” rises when they “help” the so-called “weak”. This attitude implicates that “they” need to be helped because “they” can’t help themselves, and thus cements the structurally given victimhood. To be the mistress of my own house also means for me today, that I want to furnish my own house creatively and freely, without feeling trapped by the boundaries and norms of what is “right” or “wrong” or “successful” or “grown up”…. And it feels great to be liberated from the “one and only politically correct” furniture that can so easily turn into another narrow-minded ideology…! Finally I would like to say that this non-judgemental and accepting way of being with each other that I have learned, and am still learning, from the Voice Hearing Network helped me most to find out about my house as a psychologist, to renovate the rooms and to find the people I want to invite over. Obviously there will be a lot of refurbishing to come….